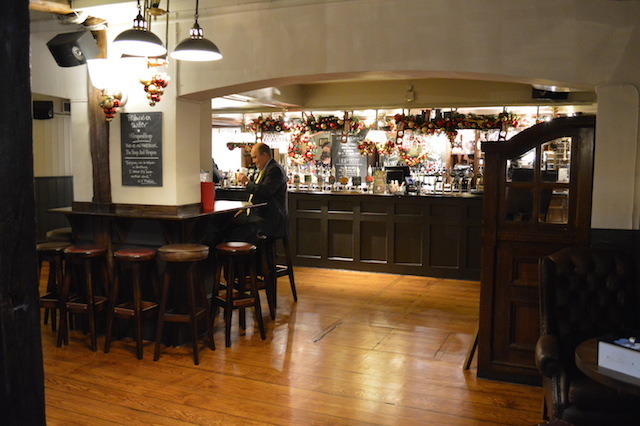 This pub was voted by Londonist readers as one of the top 10 'ye olde' pubs in London, and one of the top 10 pubs in the City of London. 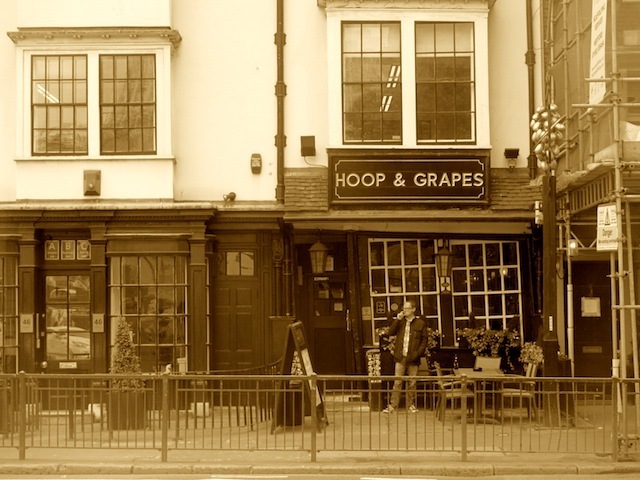 Situated on a busy road junction where the pedestrian must keep her or his wits gathered, it's easy to miss the Hoop and Grapes. That would be a shame, as it's not only a thoroughly decent pub, it's also one of central London's oldest. Its location at the north-eastern extremity of the Square Mile put it out of range of the Great Fire of London, and the building that survives is at least partially from the 17th century. Inside, a recent cleanup has seen the brickwork scrubbed to an inch of its non-life, and elsewhere whitewashed to provide a drinking space that's surprisingly clean and spacious (at least in the mid-afternoon... it's a different story in the early evening, when the City crowds pour in). 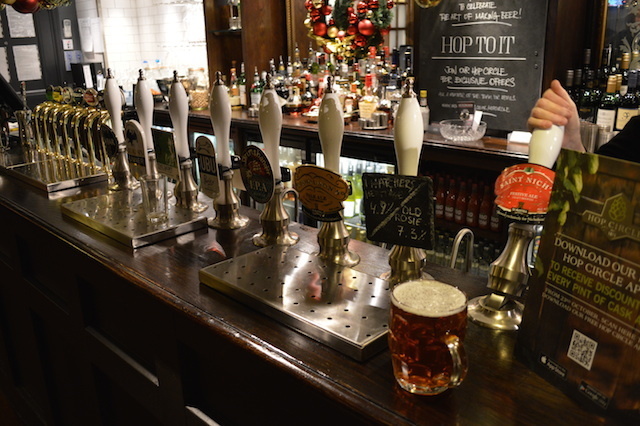 It's a Nicholson's pub, which increasingly means you'll get an impressive range of beer options. Eight draught pumps, no less. 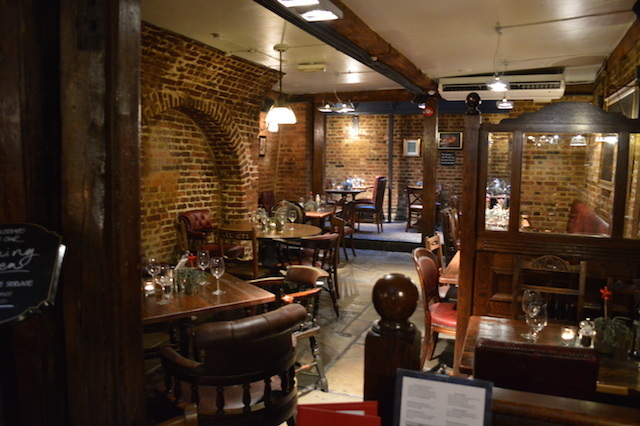 We haven't tried the food, but they clearly take it seriously, with the entire back room given over to dining tables. 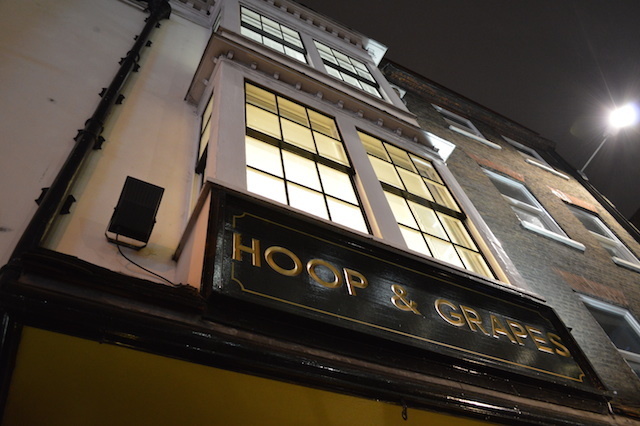 On Twitter as @HoopandGrapes, on Facebook.